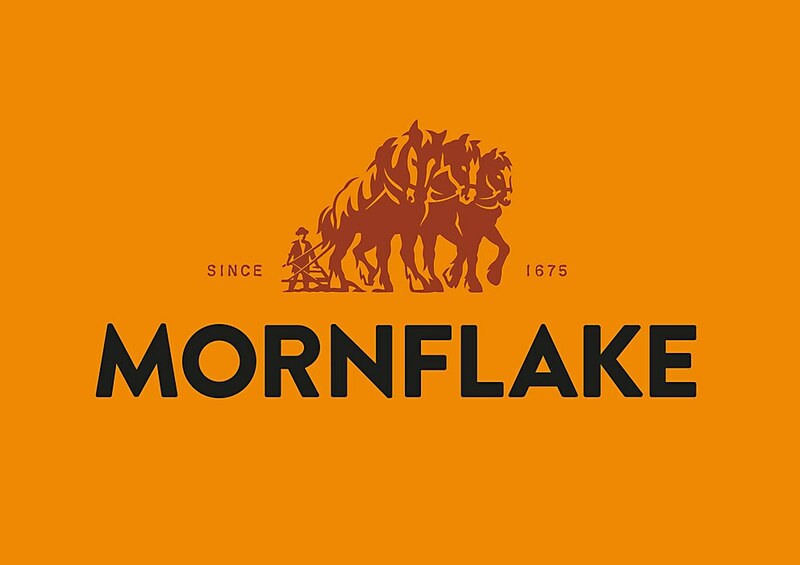 Mornflake’s new identity blends heritage and modernity to restate its claim as the leading oats expert. 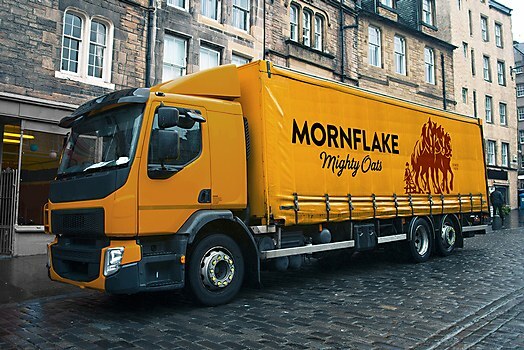 Background: At 343 years old, Crewe, Cheshire, England–based miller Mornflake is one of the oldest family-run businesses. 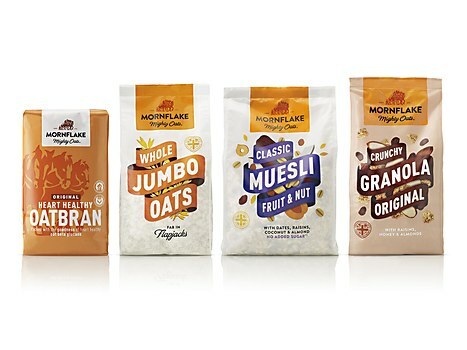 With a large range of oat and oat bran products, mueslis, granolas and cereals for sale in the United Kingdom’s supermarkets, Mornflake was looking to restate its claim as the oats expert amongst a crowded and confused cereals section. 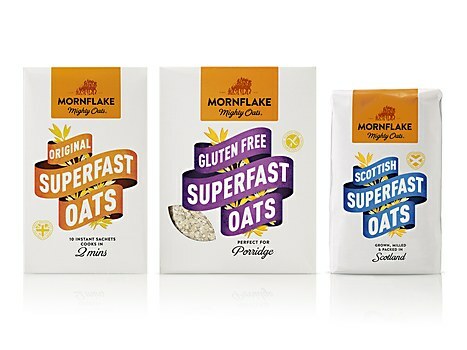 Reasoning: B&B studio was keen to focus on the emerging consumer desire for strength—a key benefit of oats—and link this to the strength of the Mornflake business. We were also keen to create impact in a field where designs evoking natural ingredients and the British countryside have become generic. 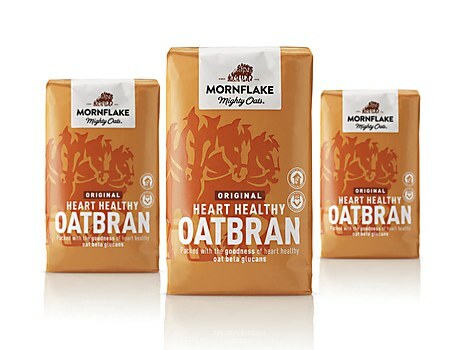 By repositioning the brand around the idea of the “mighty oats,” we were able to align Mornflake’s heritage with the consumer benefit. Challenges: With 58 products in the market, Mornflake required a flexible and distinct design system. 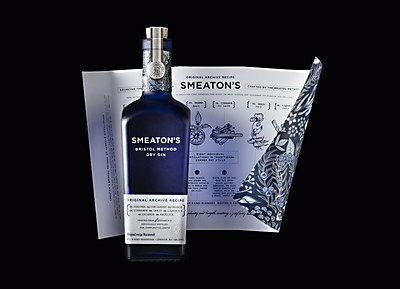 Enabling flavor differentiation through color coding and messaging hierarchy required strategic planning, design logic and attention to detail. 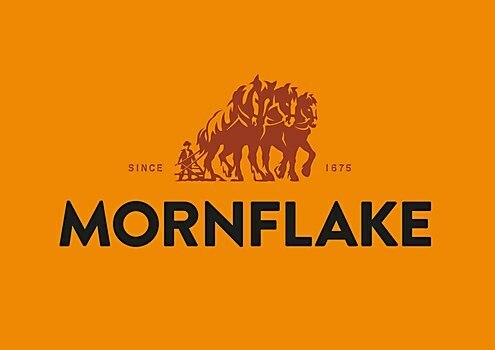 Favorite details: The new Mornflake identity features an illustrated silhouette of an image of three horses taken from Mornflake’s archive. Representing strength, the three Shire horses, Flossy, Bonnie and Metal, once pulled the binder that harvested Mornflake’s oats. 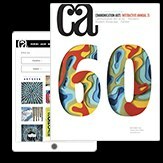 Coupled with a bold, modern typeface, the new identity is an effortless combination of heritage and modernity for a brand that’s rooted in the past but looking to the future. Visual influences: In creating the logo, we wanted to represent the shire horses in a more symbolic and iconic way; they had only been depicted in a painted artwork, not as a brand identity. To define the style, we took a lot of influence from other brands in the United Kingdom marketplace with a similar heritage to Mornflake—such as Heinz, Colman’s, Tate & Lyle and Marmite. 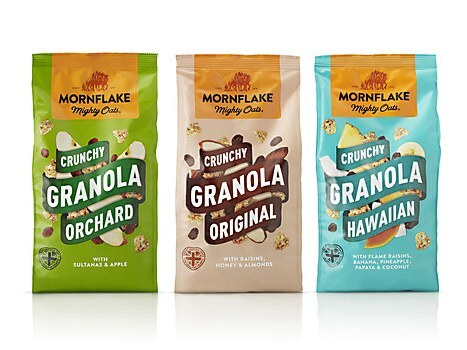 Specific demands: Mornflake’s large size means that it has different milling and filling facilities, with different lines that use different kinds of packaging. 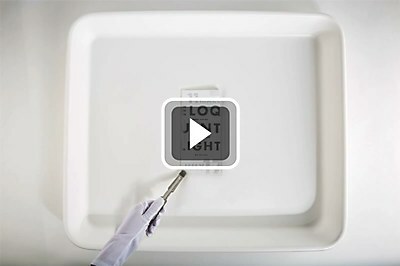 As a result, we were restricted as to what products went into what structures. 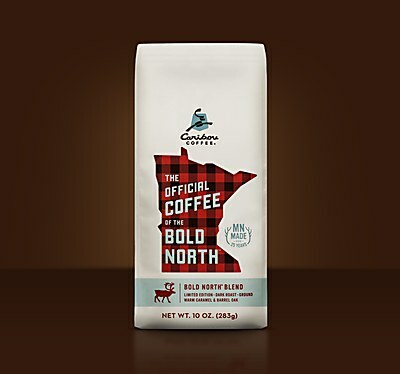 It was also a key challenge to achieve consistency of color and design across numerous substrates, but with a strong team effort from B&B’s production team and Mornflake’s team, the facilities and printers created a fantastic result.